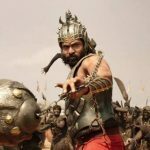 Ace director SS Rajamouli’s most ambitious venture Baahubali 2 has completed 6 weeks journey at box office on an impressive note. Even in it’s 6th week, this magnum opus remained better than most of new releases across the country. 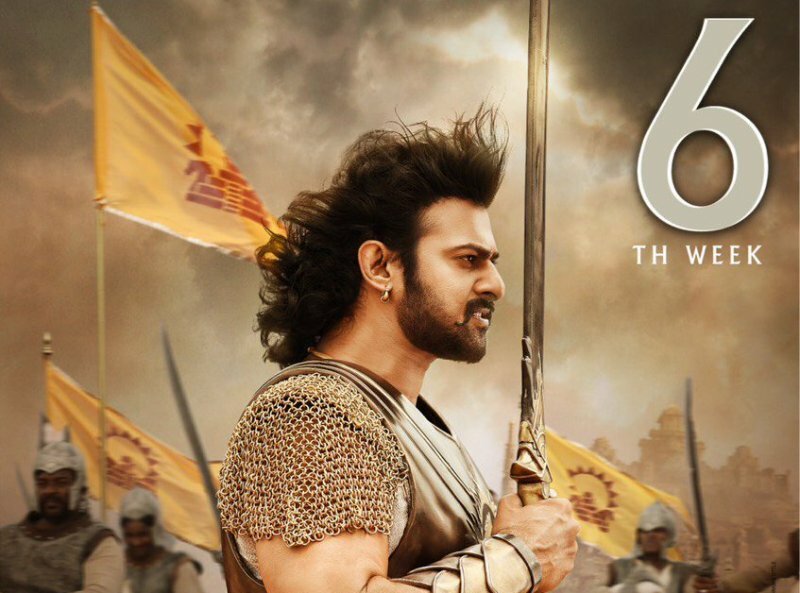 Sequel to 2015’s Baahubali, Baahubali 2 was released on April 28 on 6500 screens nationwide and received incredible response from audience as well as critics. As a result, it emerged as the biggest blockbuster ever in Indian cinema. 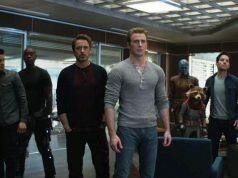 In last 5 weeks, this epic action drama recorded amazing occupancy throughout and did the nett. 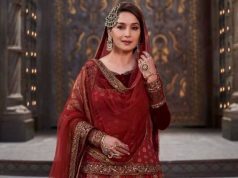 business of 1007.10 crores (Hindi 501.18 cr | TTM 505.92 cr), that included 534 crores of week-1 266 crores of week-2, 128 crores of week-3, 55 crores of week-4 and 24.10 crores of week-5. 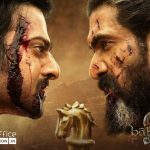 In the 6th week too, Baahubali 2 remained almost good and witnessed higher footfalls than most of new Indian releases. 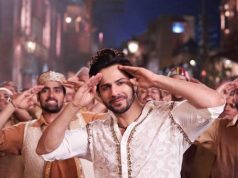 In the 6th weekend, it fetched the business of 6.60 crores (Hindi 3.10 cr | TTM 3.50 cr). Then in weekdays, with usual drop it minted the amount of 1.45 crore (Hindi 0.66 cr | TTM 0.79 cr) on Monday, 1.30 crore (Hindi 0.60 cr | TTM 0.70 cr) on Tuesday, 1.15 crore (Hindi 0.54 cr | TTM 0.61 cr) on Wednesday and 1 crore (Hindi 0.45 cr | TTM 0.55 cr) on Thursday. 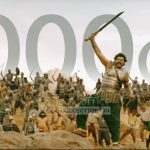 With this, total 6 weeks collection of Baahubali 2 has become 1018.60 crores nett. (Hindi 506.53 cr | TTM 512.07 cr) on domestic box office. From overseas market too, the movie reported quite excellent business and grossed approximately 330 crores from there so far. 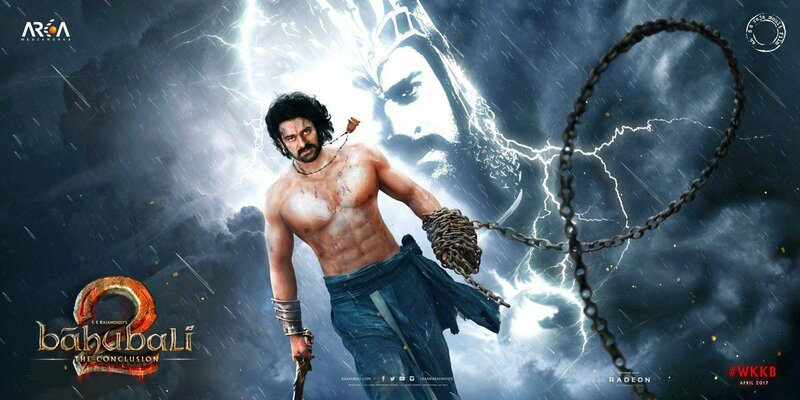 At worldwide box office, Prabhas starrer has grossed around 1688.50 crores, while with it’s tremendous run in China, Aamir Khan starrer Dangal grossed approximately 1876 crores and holding the top position among highest Indian grosser globally.